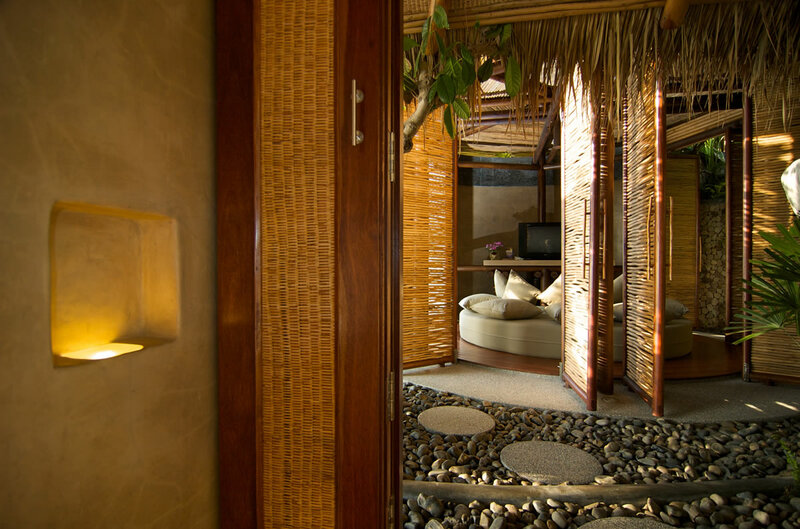 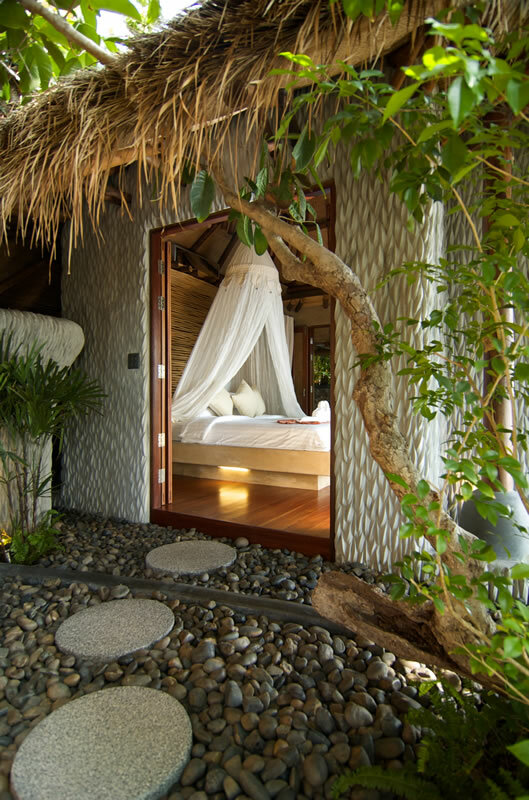 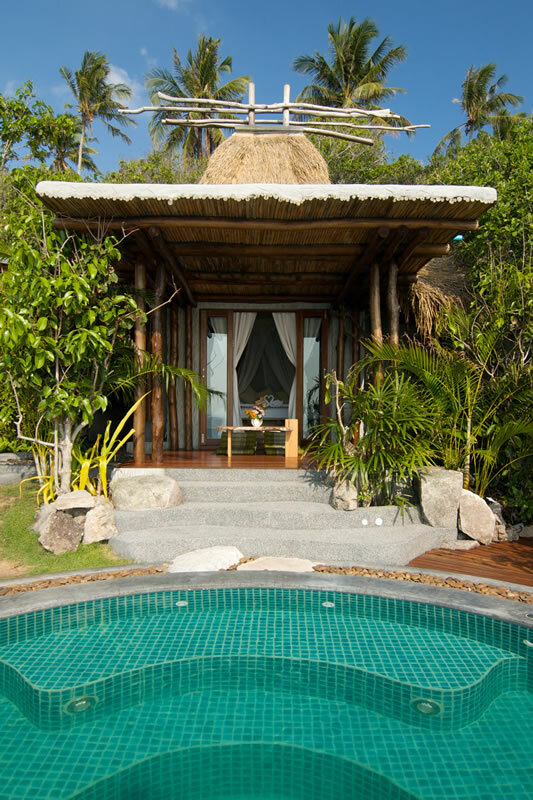 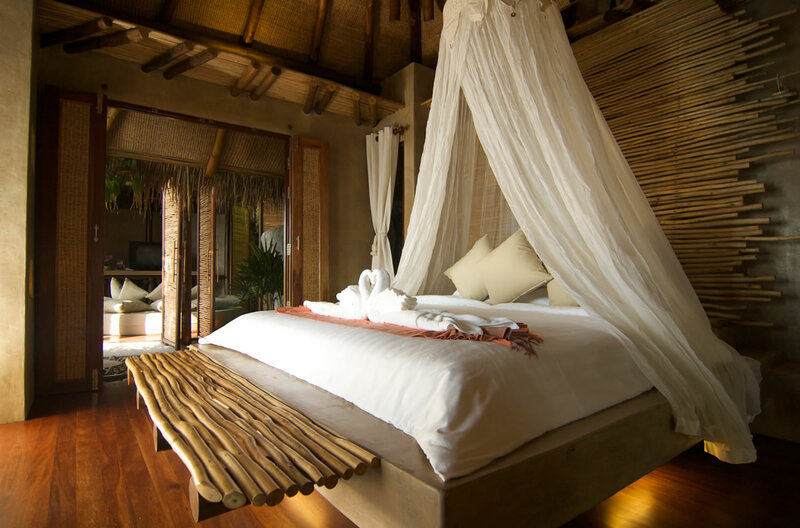 The most romantic and magical of all our Pool Villas with its secluded bedroom, intimate living room and outside patio. 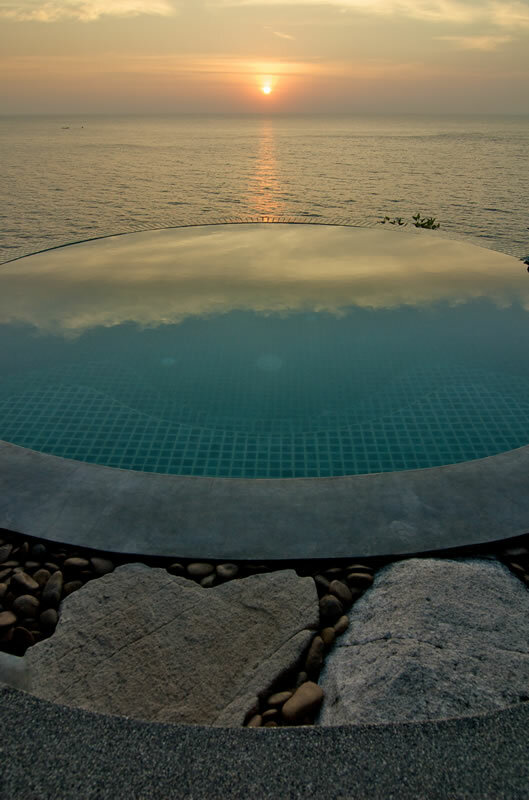 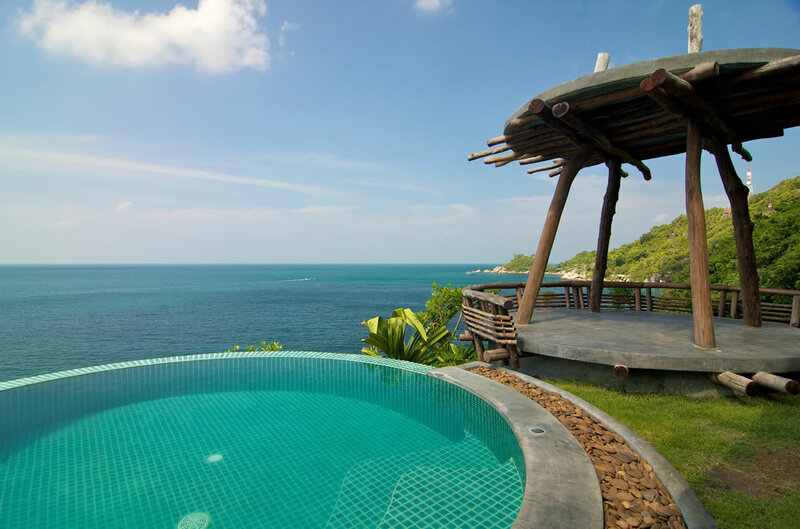 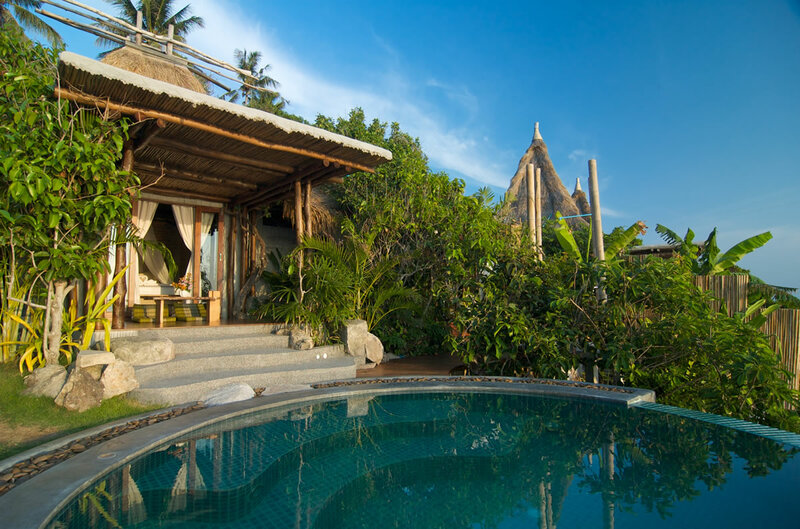 This villa is perfectly positioned to enjoy the beautiful Koh Tao sunset. 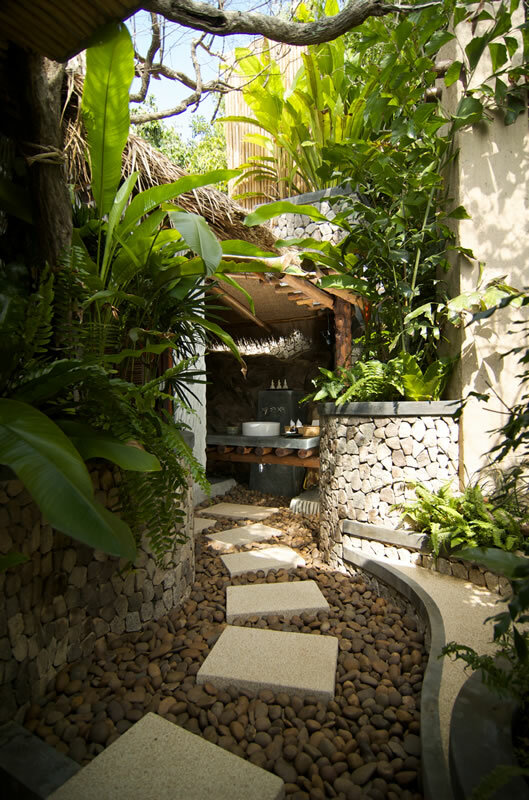 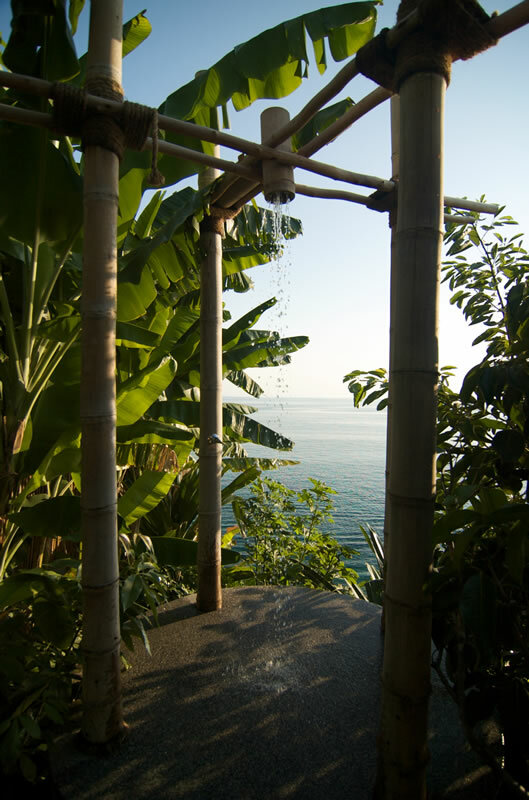 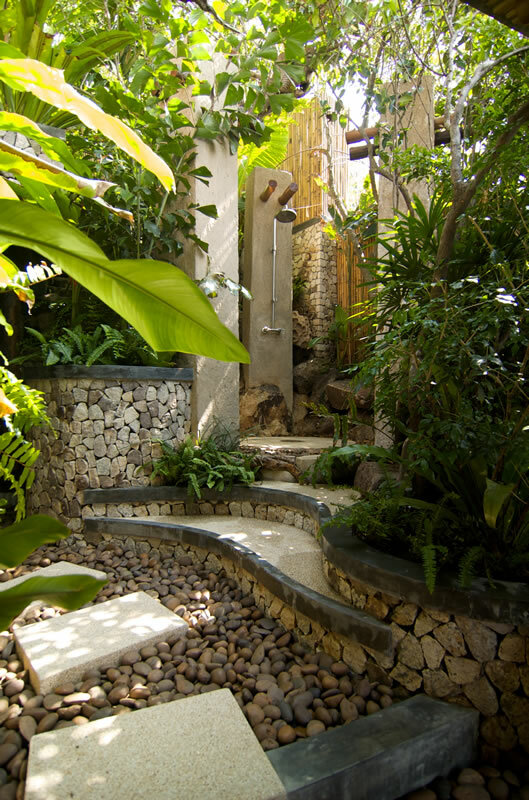 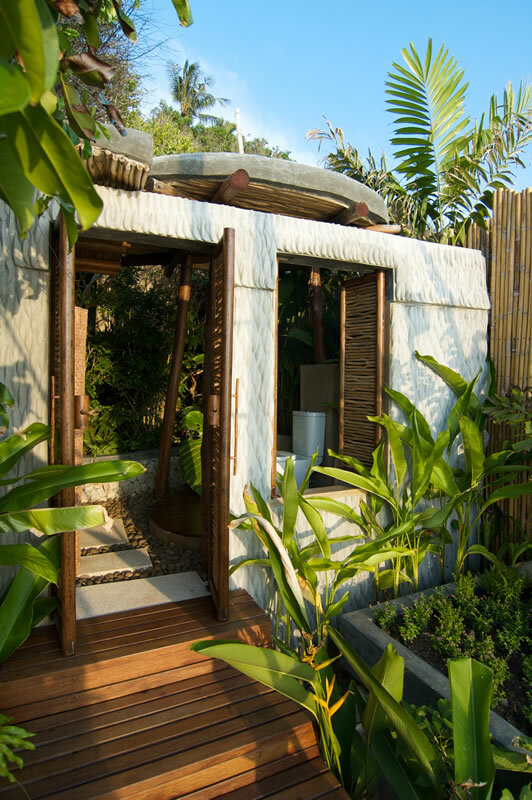 A real treat awaits you as you step into your private tropical garden and take in the beauty of nature. 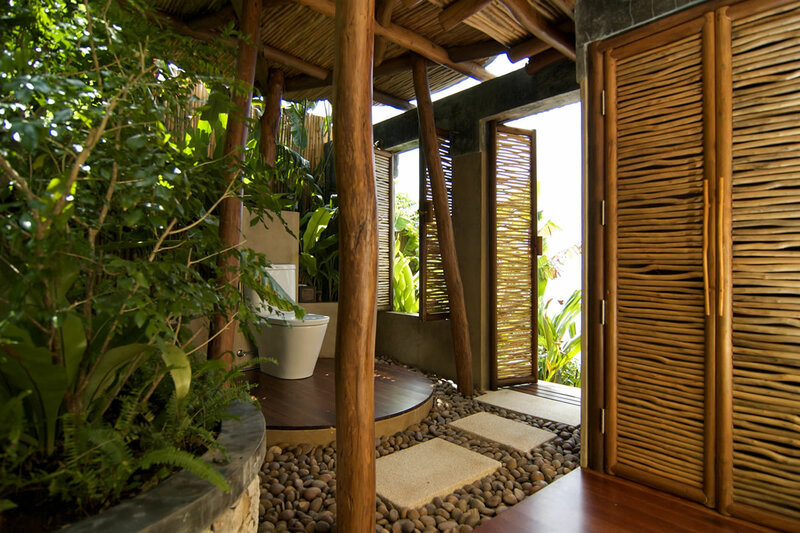 A uniquely designed concept villa with flowing circular forms and open spaces that naturally and gently merge into the surrounding forest setting provided by Mother Nature. 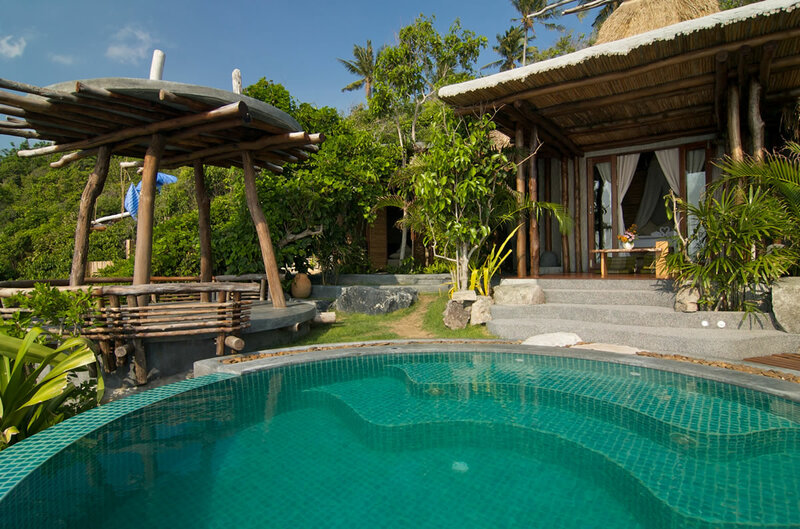 Follow the stepping stones from the airy TV lounge to the bedroom and look out onto your private terrace holding a beautiful infinity pool and the panoramic ocean views beyond. 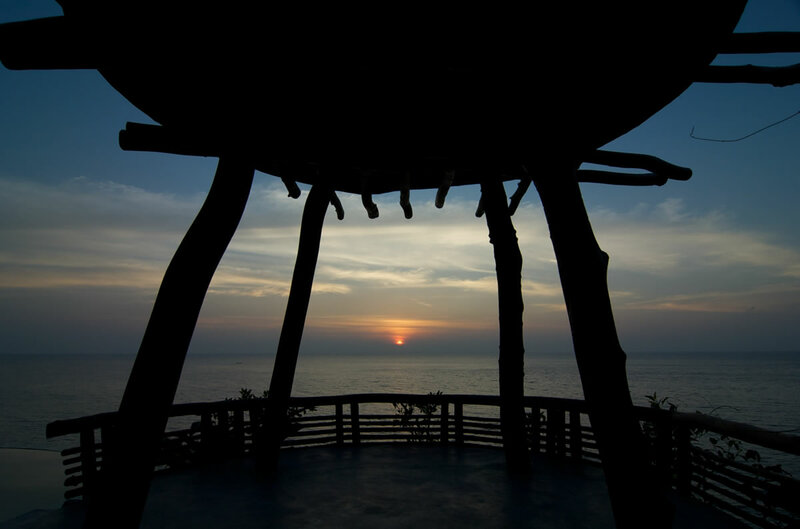 To end your day, wander over to the sunset patio and experience the magic and tranquility of dusk. 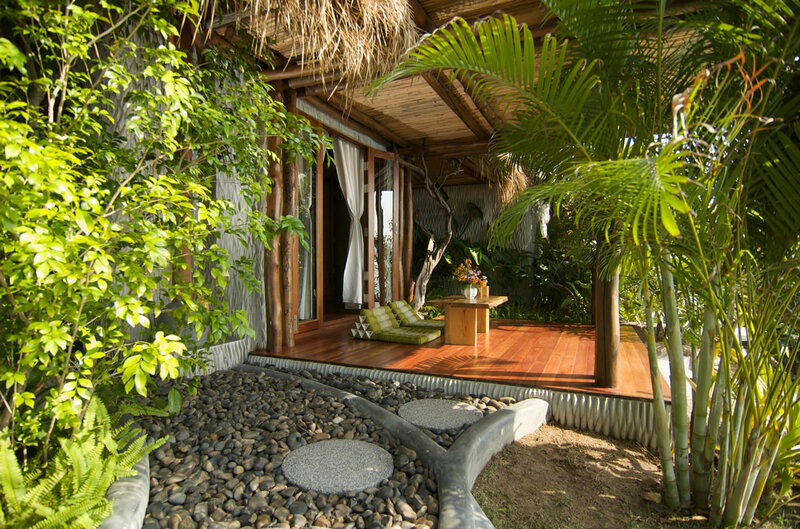 Then wait and watch as the stars design their footprints in the night sky above.